The cities of eighteenth-century America packed together tens of thousands of colonists who met each other in back rooms and plotted political tactics debated the issues of the day in taverns and mingled together on the wharves or in the streets. In this fascinating work historian Benjamin L. Carp shows how these various urban meeting places provided the tinder and spark for the American Revolution. 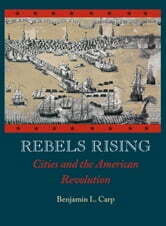 Carp focuses closely on political activity in colonial America's five most populous cities--in particular he examines Boston's waterfront community New York tavern-goers Newport congregations Charleston's elite patriarchy and the common people who gathered outside Philadelphia's State House. He shows how--because of their tight concentrations of people and diverse mixture of inhabitants--the largest cities offered fertile ground for political consciousness political persuasion and political action. The book traces how everyday interactions in taverns wharves and elsewhere slowly developed into more serious political activity. Ultimately the residents of cities became the first to voice their discontent. Merchants began meeting to discuss the repercussions of new laws printers fired up provocative pamphlets and protesters took to the streets. Indeed the cities became the flashpoints for legislative protests committee meetings massive outdoor gatherings newspaper harangues boycotts customs evasion violence and riots--all of which laid the groundwork for war. Ranging from 1740 to 1780 this groundbreaking work contributes significantly to our understanding of the American Revolution. 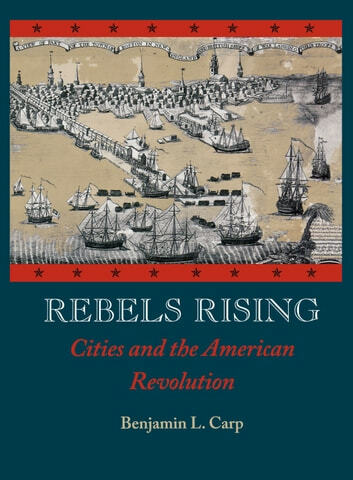 By focusing on some of the most pivotal events of the eighteenth century as they unfolded in the most dynamic places in America this book illuminates how city dwellers joined in various forms of political activity that helped make the Revolution possible.